Need a Crystal Lake SEO Company to Help People Find Your Business Online? Welcome to Badger SEO, the #1 Crystal Lake SEO Company! 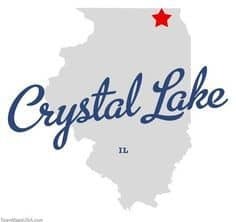 Thanks for stopping by and checking out our Crystal Lake SEO page. If you are looking for a trusted, reputable SEO company to help you get great results in the search engines you are in luck! Getting your business front page exposure in Google for local terms in Crystal Lake Illinois is not what it once was. The city has experienced dramatic growth over the last 20 years and is no longer a small town. There are more and more businesses sprouting up every day, and word of mouth business is far less effective than it once was. Nowadays, people simply grab their phone, tablet, or pop open the laptop to quickly search for the products or services they are looking for. The do so knowing that Google will return a list of results for them to navigate so they can make their own decision. What happens if your business is not front and center when people are searching for the things your business has to offer? Since you are here reading this, I am going to assume that your competition is capitalizing on these searches, but you would like to intervene! Am I right? If so, let’s press on! Google uses hundreds, if not more, ranking signals to determine which sites will take the top spots in the SERP’s (Search Engine Results Pages). For starters, you will want to make sure you have your on page SEO right. This is the first step in the process, and if done wrong it can make ranking in local search much more difficult. Once you have your website set up properly, meaning your on page SEO is tight, the site loads fast, and is mobile friendly the next thing that comes into play is off site SEO, which consists of building back links. Back links are any links from other sites pointing back to your site, and they are not all created equal. Achieving good rankings in the search engines for the searches (keywords) that can bring new customers through your doors means you will need to have solid on page and solid off page, especially if there is any kind of competition in your respective niche. Back links are the hardest thing to get, and Google is rolling out new updates every day to try to prevent people and businesses from gaming their system to attain good rankings. Unless you know what you are doing, refrain from building back links because you can really get your site in trouble if done wrong. A lot goes into nailing down your on page and off page SEO, which is why we recommend hiring a professional to do this for you. SEO is an ever changing game. If you do not stay current with what is working now you can kill a site, and have it sanboxed by Google, making it very difficult to ever attain traffic in the organic search results. When trying to find a Crystal Lake SEO company to help your business get ranked, make sure they can prove that they know what they are doing. The best way to see that is to see their own rankings! Don’t take their word for it, ask to see their rankings, or better yet search something like seo company Crystal Lake IL and see who is there. If they aren’t ranking, don’t give them your money! Our goals are quite simple. We want your goals to be met, and will work to ensure your satisfaction is met. In fact, we will work diligently to make that happen. After we receive your Discovery Page information, we will analyze your current online situation, take a look into your niche and the keywords you would want to rank for, and create a custom SEO plan that is unique to your business. There are a lot of factors that come into play, and every case is different. In SEO, we go by “the weight of the move”, and some moves are much smaller than others, so cookie cutter plans do not work. Badger SEO takes the time to discuss goals with our clients. We want to earn your business, and feel the best way to do that is to over deliver and provide great results. Our search engine optimization practices are geared towards helping local business owners dominate the local search results by ranking in the top 3 spots in the maps, as well as getting great organic exposure. We can help you maximize your exposure, and get your business great SEO results. Our techniques are cutting edge, and we are always learning from the #1 SEO training community in the entire world. The cost of being part of that community is not cheap, but the tactics and strategies learned there set us apart from most other SEO companies in the business, making it very worth while for us and our clients. There are many benefits of hiring a search engine optimization company to help your business. One thing every business owners wants is more paying customers, and driving traffic to your website is a great way to do just that. Our SEO services in Crystal Lake Illinois will set you up with everything you need to start generating traffic to your website via search engines. Cost Effective – Search engine optimization is one of the most cost effective ways to generate business and leads online. Chances are you have been sprinkling money around various different online marketing methods, and have gotten little to no results. You can keep doing that, or you can go with a proven method that can bring you leads for years to come. Unlike other marketing strategies online like PPC (Pay Per Click), SEO can keep working for you long after you have paid for it. Once you allow an SEO campaign from Badger SEO to run it’s course, you will have a strong site that Google will reward with great rankings for a long time, whereas with PPC once you stop paying the traffic stops, and your site has no long term benefits to show for the money spent. Direct Results – You can count on us to deliver positive results to your business. We accomplish this by using the most current and powerful strategies that will increase traffic and exposure to your website. Establish Brand Credibility – Most SEO’s go about SEO all wrong right from the start. We will set out to secure your brand online so when someone searches for your company they will be sure to find YOU, not a competitor. Our SEO services will also enhance your brand credibility by helping your business appear on the first page of search engine results. Consumers have been conditioned to believe that the first few results on a given search query are the top online brands, and we will ensure that you are there when they search! Help Your Website Stand Out – There are hundreds of thousands of websites being added to the internet on a daily basis, but only a few of them are built and set up with search engine optimization in mind. SEO is a great way to help your unique website stand out from your competition, and without that it will make organic traffic nearly impossible to get. Our SEO strategies in the Crystal Lake area will ensure that everything on your website is dialed in so you will never be lost in the sea of other websites. Long Term Results – Our expertise will ensure that your website is in good health and performs for you for a long time. Unlike other methods of online marketing, where the traffic stops when you stop paying, our digital marketing strategies will bring you traffic and top rankings long after we are through. Your site will be an authority sites in your niche, and will be rewarded with great performance. 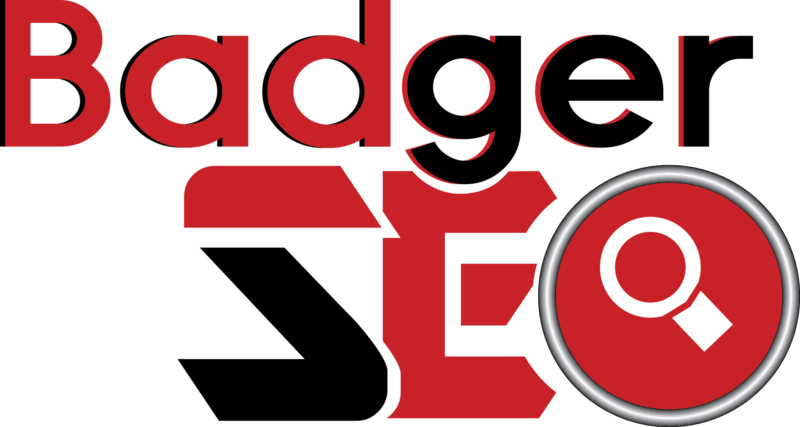 Hopefully by now you see how Badger SEO can help your business stand out from the competition. You can get a free analysis of your current situation online by taking 5 minutes to fill out the information on your Discovery Page. We hope this has been helpful and would love to talk more about your project. Contact us any time if you have any questions.